Note: Governor Deal vetoed this legislation on May 3, 2016. 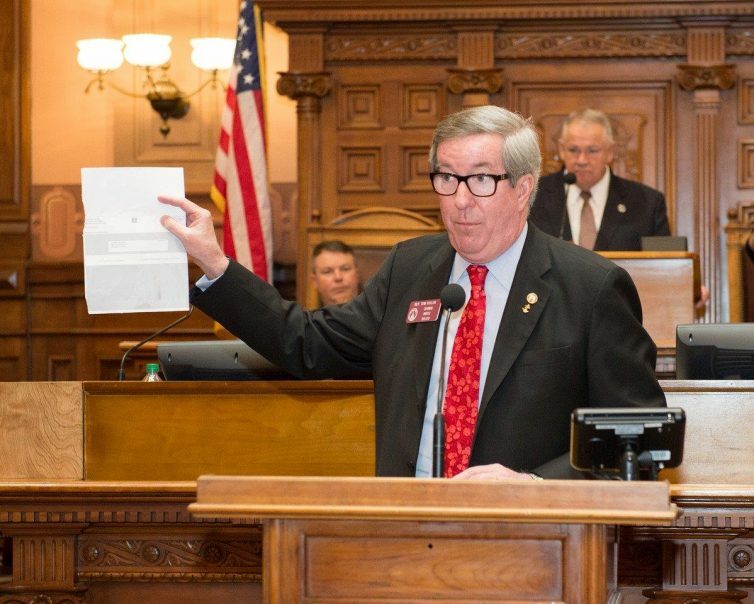 HB 859 allows a Georgia firearms license holder to keep their weapon on their person while in or on any building or real property owned by or leased to any technical school, vocational school, college, university, or other institution of postsecondary education. This exception will not apply to buildings or property used for athletic events or student housing including sorority and fraternity houses and only applies to the carrying of handguns which are concealed. In addition, this bill does allow carry of concealed firearms in classrooms, day care facilities and music or concert venues on campus. It may surprise many of my constituents, but I opposed this bill from the outset. I am an NRA member, a 21 year military veteran, gun owner, concealed carry permit holder, hunter and 2nd Amendment supporter. With that said, I was uncomfortable with the mandate that this bill imposed on these educational institutions to allow campus carry. I would have been much more comfortable if there was an opt-in, opt-out provision, allowing each school to decide on the campus carry provisions for their particular institution. In addition, the overwhelming consensus of input that I got from my constituents of District 79 was to oppose this bill. Full disclosure. I was absent for this vote due to a medical appointment and had an “E” (for excused absence) on the vote board when this vote was taken. With that said, I made my opposition to this bill public from the outset. This vote did pass the House by a vote of 113-59, a clear majority, and passed the Senate as well. Governor Deal has not yet signed or vetoed this bill.